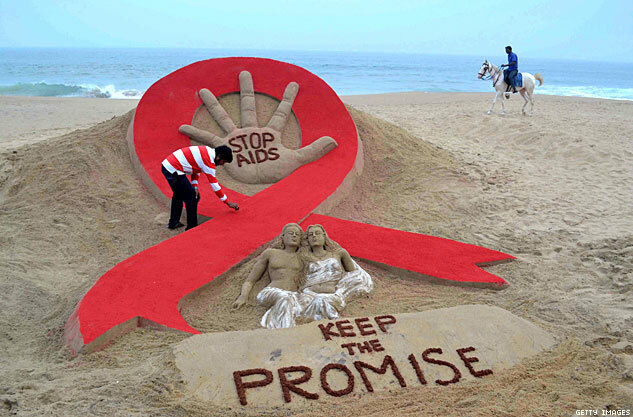 On World AIDS Day 2014, we look back at inspiring images from last year. South Korean students pose in the shape of the AIDS ribbon during an event to promote awareness Sunday at Cheonggyecheon, a park in downtown Seoul. 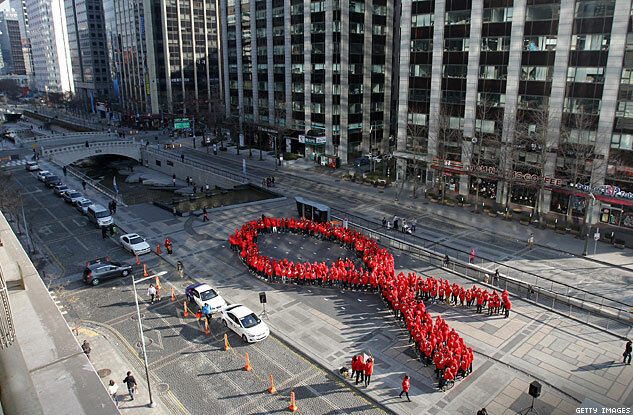 The Seoul metropolitan government and the Korea Federation for HIVAIDS Prevention sponsored the World AIDS Day event. Indian sand artist Sudersan Pattnaik puts the final touches on a sand sculpture on the eve of World AIDS Day as a horseman rides by on Golden Sea Beach in Puri.